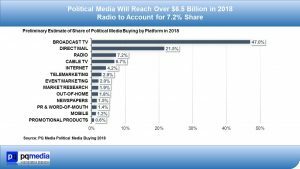 Political Media Buying 2018: Where Does Radio Fit? A 2017 survey of political media buying consultants reported that the age of the principals determines whether traditional media would continue to represent the lion’s share of media buying, which would remain true because most consulting firms are run by older executives. 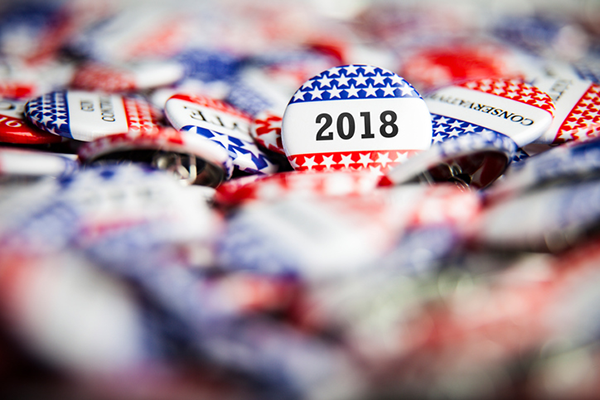 Conversely, at a January 2018 political media conference, many of the panel members discussed recent campaigns that relied heavily on digital strategies, including some instances that television was not in the mix. Yet, PQ Media is leery of campaigns that rely too heavily on digital to reach core voters, particularly those that Trump reached in 2016 to win key states. Many of these voters are located in rural areas that lag in broadband and smartphone penetration rates compared to the rest of the nation, thus traditional media, like television and radio, remain prime methods to reach this target audience. To answer the question of where does radio fit, there are many positive attributes during the 2018 election, foremost that many contested races are in smaller DMAs, often those that do not have a strong local digital presence to siphon traditional media budgets. Additionally, it should also be noted that radio’s share normally rises in non-presidential election cycles due to the higher number of gubernatorial races than during the presidential elections. These candidates often buy ads in extremely small communities in which the largest town has a population of around 10,000 people, like Nodaway County in northwest Missouri, with only a handful of media platforms like radio, newspapers, out-of-home and event marketing. Slightly more than $6.575 billion will be spent on political media buying in 2018, a 9.2% decline from the approximately $7.25 billion spent in 2016, but up 9.8% compared with the almost $6 billion spent in 2014. Radio will slightly exceed $470 million in 2018, a 15.2% gain over 2016 and 9.5% increase over 2014, which represents a 7.2% share of overall media buying, up from 5.6% in 2016, and equal to the 2014 share. Next Next post: Radio on Main Street Podcast Featuring Doug McElrath and Jim Baxter with the University of Maryland’s Library of American Broadcasting.